I’ve written a fair amount about Egypt and the Arab Spring over the course of my internship, but today I’m going to write about something a little different from the usual discussion of politics, revolution, and violence: responsible tourism. Can it take root in Egypt? Or is there too much conflict? 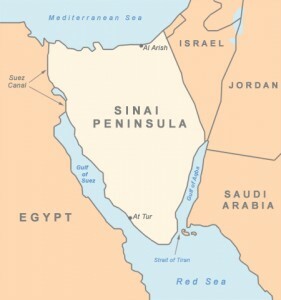 The Sinai Peninsula is a highly contested piece of real estate that connects Asia and Africa. It was occupied by Israel during the Six-Day War in June 1967 and returned to Egypt in 1979, and currently remains under Egyptian jurisdiction. In the 30 years since the Sinai was returned to Egypt little has been done with the land, and its Bedouin population of 500,000 has been isolated from the rest of the country. The new Muslim Brotherhood government is seeking to change this. On January 16th-18th the First International Conference on Sinai for New Egypt will be held to discuss the possible benefits of renewable energy, environmental management, and ecotourism for the region. The ultimate goal of the conference is to consolidate all of these ideas into coherent arguments to present to the future authority so that development of the Peninsula can proceed. Promoting environmentally friendly ecotourism could help the region, and Egypt as a whole, quite a bit, especially considering the dramatic drop-off in tourism revenue the country has seen since the beginning of the Arab Spring. The country is still struggling economically, and tourism could provide a much-needed infusion of cash. The environmentally-friendly aspect is especially significant as previous tourism has taken quite a toll on the many historic sites on the Peninsula and throughout Europe. 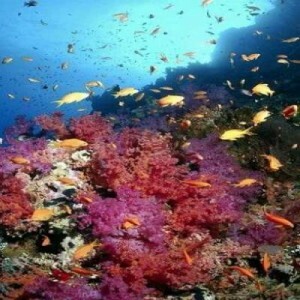 The coral reefs of Sharm el-Sheikh, for example, are in danger because of dust caused by erosion from all the tourists, and so it is fitting that one of the topics of the conference was how to make cities like Sharm el-Sheikh models of sustainable development. Turning the Sinai Peninsula into a sustainable, environmentally-friendly tourist destination and farming community will not be easy, however. As of now there is no infrastructure to support such a proposal, so the government would have to step in to impose regulations to ensure that the tourism industry does not grow at the expense of local communities. Establishing infrastructure is the least of the government’s worries, however. 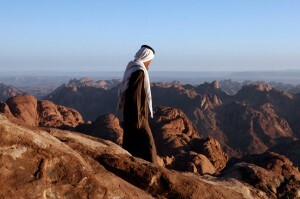 The Sinai Peninsula has long been a troubled region, and the situation hasn’t improved since the revolution. Last Friday Bedouin leaders warned the new government that they might take up arms to achieve greater representation in the new parliament, and has accused the government of treason against Egypt. Bedouin tribe members frequently engage in illegal activities, including smuggling and human trafficking, and recently held 50 tourists hostage at the popular St. Catherine’s monastery. They feel that they have been neglected by the new government in Cairo and have responded by blocking access to towns and villages and attacking police stations. Egyptian troops are currently stationed in the Peninsula in the face of a growing threat from Islamist extremists, as well as threats of cells sympathetic to al Qaeda emerging in the region. Clearly, establishing an environmentally friendly, sustainable tourism program is going to be difficult. The Bedouin community could benefit from the income from responsible tourism, as well as the renewable energy and sustainable agriculture initiatives, but only if the government is able to work with the Bedouin community. Islamist extremist groups certainly aren’t conducive to tourism, either. Egypt and the Sinai Peninsula are so full of history, though, that I hope some sort of stable political situation can be reached so that a sustainable tourism initiative can take root. Thanks for your comment! I think that there are two crucial things that must be accomplished before responsible tourism (or any of the agricultural or renewable energy initiatives) can be successfully implemented in the region. First of all, the government needs to create an infrastructure to regulate the industry, otherwise there is nothing to prevent people from saying that their hotel or their tour company is “responsible” and “sustainable” and “green” while doing nothing to ensure that it actually is. Second of all, the government needs to reach out to the local Bedouin community. From my research for this post I got the sense that much of the violence and illegal activity comes from the lack of relationship between the Bedouins and the government, both old and new. For any of these programs to be effective the government is going to have to open channels of communication with the Bedouins and try to ease some of the resentment the community feels after decades of isolation. Hi Michelle, great blog! I was just wondering if you had any ideas of what could be done to improve a chance of responsible tourism in the Sinai Peninsula? This is an important issue to the region as tourism is a crucial source of income for them.